Do you ever have that feeling of not being bothered to dress up for a night out? I get that more often than I use to now that I'm a mum. I wore this outfit to a birthday dinner, I really wasn't in the mood to get glammed up. 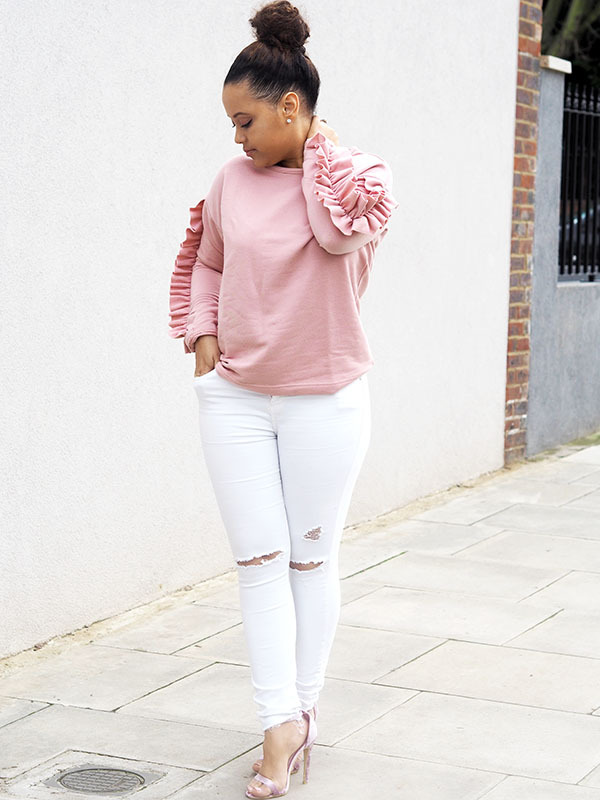 I went for this simple look, the ruffles really dressed up what could of been a plain pink jumper. I also received a few compliments on this jumper, at £12 its a bargain!